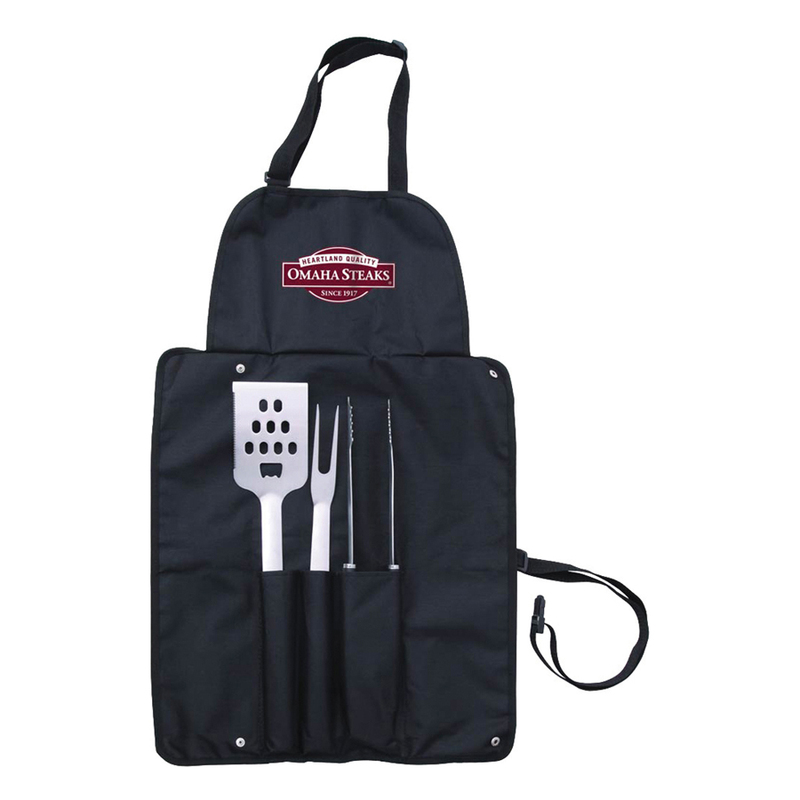 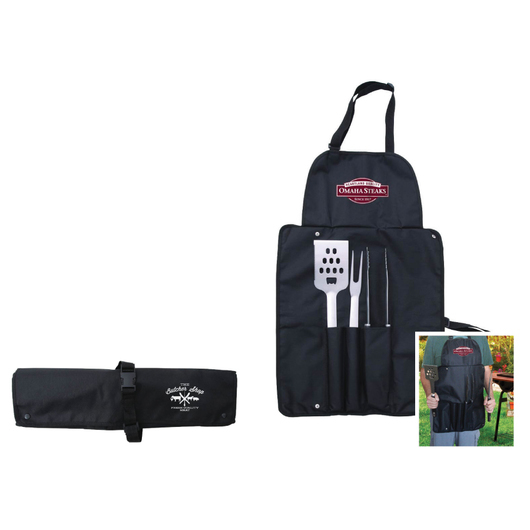 A grill master BBQ set that showcases your logo, a great gift idea. Instantly become the grill master with some of these fantastic BBQ sets. 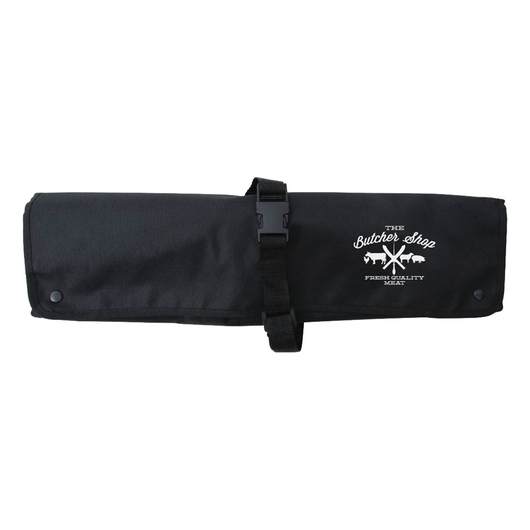 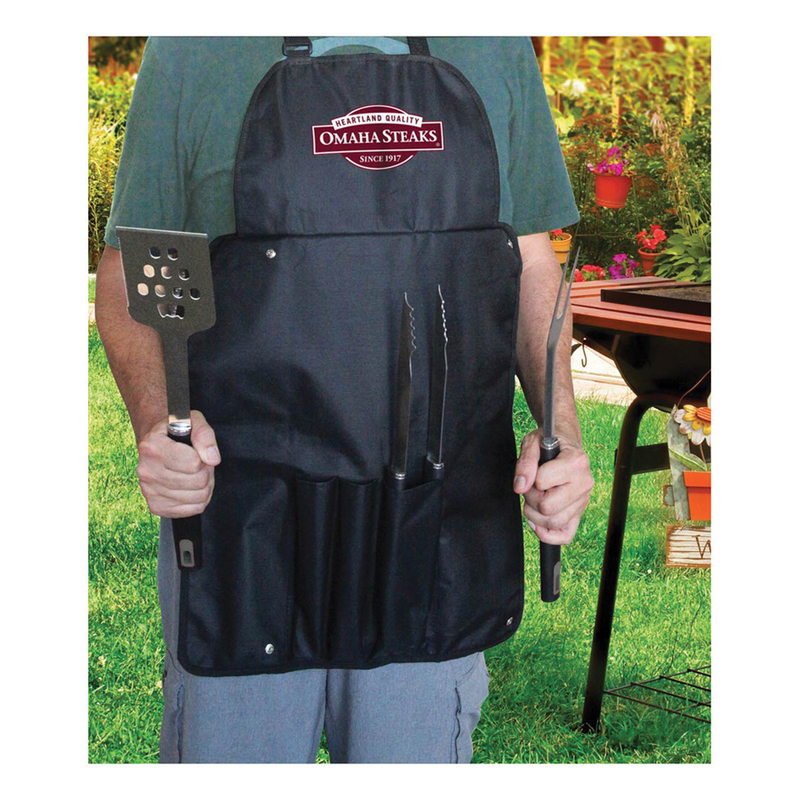 Simply unfold the tote and it converts to a full sized apron with a deluxe BBQ set stored inside. Includes 3 stainless steel BBQ tools: A large spatula with integrated bottle opener, a large fork and tongs.